RENCI’s Brian Blanton, PhD, recently gave a talk called “Simulating Storm Surge for Coastal Hazard and Risk Assessment” as part of a Disaster Resilience Symposium held at Virginia Tech. The goal of the symposium was to facilitate interdisciplinary discussion and collaboration on efforts to reduce the ecological and socioeconomic risks of coastal hazards. 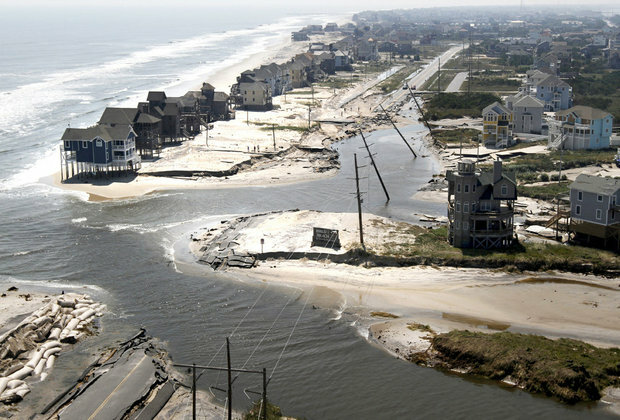 Living on a coastline comes with a certain set of risks, and coastal resilience researchers study the most effective ways to ensure coastal communities have the ability to bounce back after events such as tropical cyclones and tsunamis, and the resulting flooding and inundation. the reasons that HPC matters. Every November thousands of researchers and industry representatives in high performance computing and related fields, such as advanced networking, data storage, and analysis, meet for the annual supercomputing conference. Hacking is not just what computer science students do when they’ve had too much strong coffee. In 2014, hackathons bring together smart people from a variety of backgrounds for intense, technical problem-solving sessions that often last several days. They are a mainstream method for harnessing brainpower to generate new ideas, business models, products, and technical solutions. Infrastructure for research in the environmental sciences shouldn’t be constrained by national boundaries. That’s the idea behind Cooperation EU-US, or CoopEUS. Here’s a concept: a conference where people get real work done. Outer Banks flooding from Hurricane Irene (2011). Modeling software used to understand high-impact events will benefit from software development best practices. In the 21st century, it’s impossible to separate science from the software scientists use to collect data, run computer models and analyze model outputs. 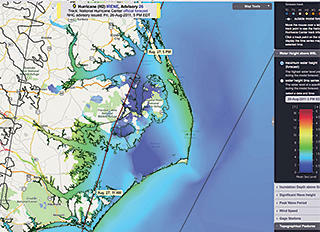 After two years of work, HydroShare, a “Facebook for hydrologists,” will go live in July as an open source website. The HydroShare research team, which includes collaborators from RENCI, Brigham Young University, the University of South Carolina, Purdue University, Tufts University, the University of Texas at Austin, and the University of California at San Diego, received a $4.5 million grant from the National Science Foundation in July 2012 for this project. Claire McPherson of Deloitte closes out a great Innovation Summit. The creative vibes were buzzing at the First NCDS Data Innovation Showcase, held at RENCI on Wednesday, May 21, 2014. 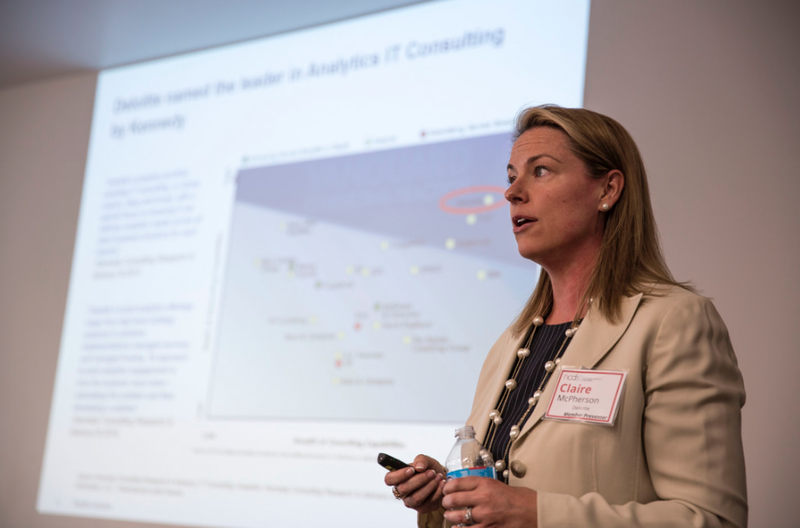 The Showcase, centered around innovative strategies for the rapidly-expanding big data field, brought together NCDS members, faculty and students to share data-related projects, activities and ideas. Though their numbers are expanding, women are still the minority in the computer development and website coding community, which remains about 90 percent male. A group of women in the Triangle, Girl Develop It (GDI), formed to provide a comfortable environment where women can learn about coding, website development and new technology and strategies at their own pace. As an institution that believes in diversifying STEM career fields and fully supports broadening the coding community, RENCI recently opened its doors to GDI to provide a space to host its “Python for Beginners” course.